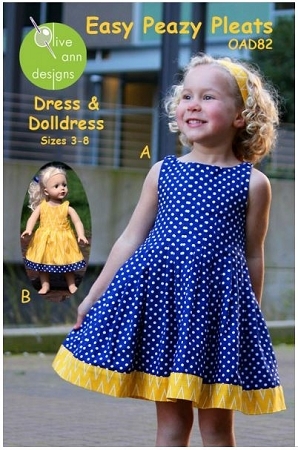 Make this adorable pleated dress using a very easy pleating technique - no pins, no markings just an iron. This is a pull on dress that’s both fitted and full. Elastic in the straps and back bodice gives a perfect and comfortable fit. 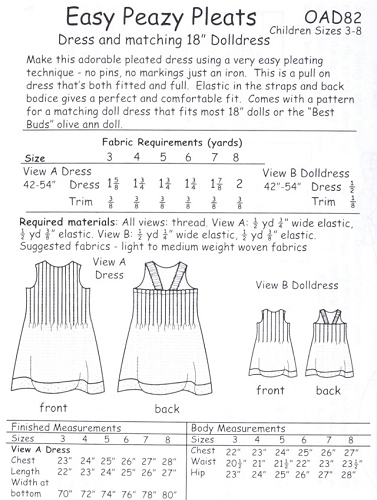 Comes with a pattern for a matching doll dress that fits most 18” dolls or the “Best Buds” olive ann doll.